A few recent TestMDM customers have had issues with their IPAs due to the fact they have multiple bundles within them. These are extensions to support Today Widgets or the new Apple Watch. Up to now, I’ve gotten lucky, as the Plist.info files within the IPA seem to fall out in the right order, but a new customer reported issues. To rectify this, I’ve added a new Bundle Selection step to the Install App command. When you choose this command, you will see the normal “Install App” dialog. 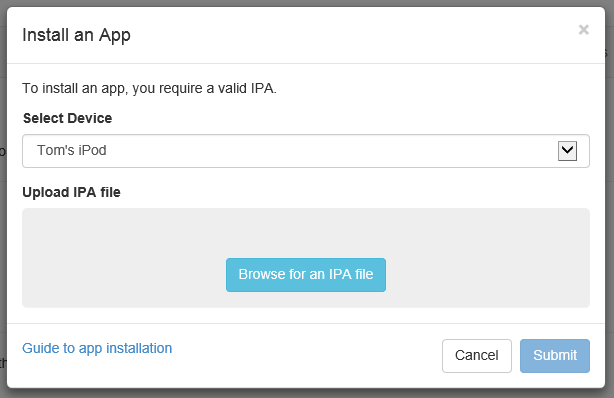 Once you have selected an IPA, it gets uploaded and processed. You’ll then see a new drop down appear. 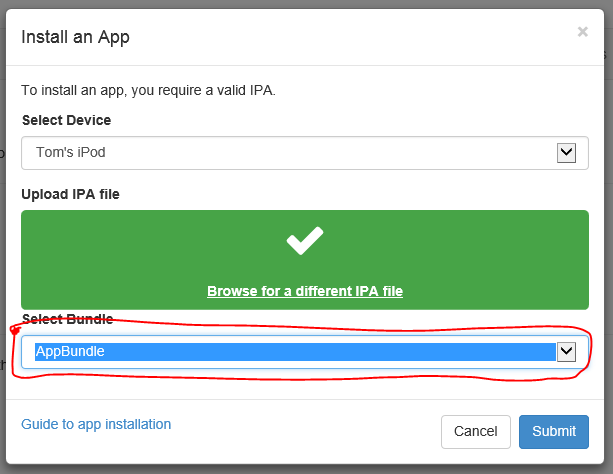 This will list the various bundles contained within the IPA you’ve uploaded. Select the one that corresponds to your app and you should be good to go. At only £39.99 for an entire month, TestMDM offers a useful way to test your enterprise apps without the hassle of setting up your own MDM. Visit http://www.testmdmapp.com to find out more!